New Zealand Boat Builder based in Dalian NE China since Jan 2008 where he has set up two Boat Building JV’s with local Chinese, seeks US$5,000,000 Investor Funding to set up his own Wholly Foreign Owned Enterprise with Boat Building & Export Licence. New Business to be run to International Standards & best business practices producing top quality product at affordable prices. Intention is to use the best of New Zealand Boat Design, Technology and Boat Building skills coupled with lower Chinese labour rates, lower material & componentry costs. 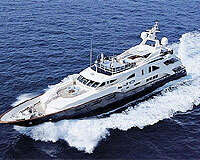 Plans include Pleasure Boats for Private & Charter ownership, Patrol Craft, Ferries & Water Taxis. Huge market potential in China’s newly developing Leisure market as well as a number of other countries for Pleasure Boats. Currently working on inquiries for Patrol Craft from 4 countries. HUGE POTENTIAL will show excellent returns on this safe investment. This is an idea whose time has come!